1. Fill a collins glass with ice. 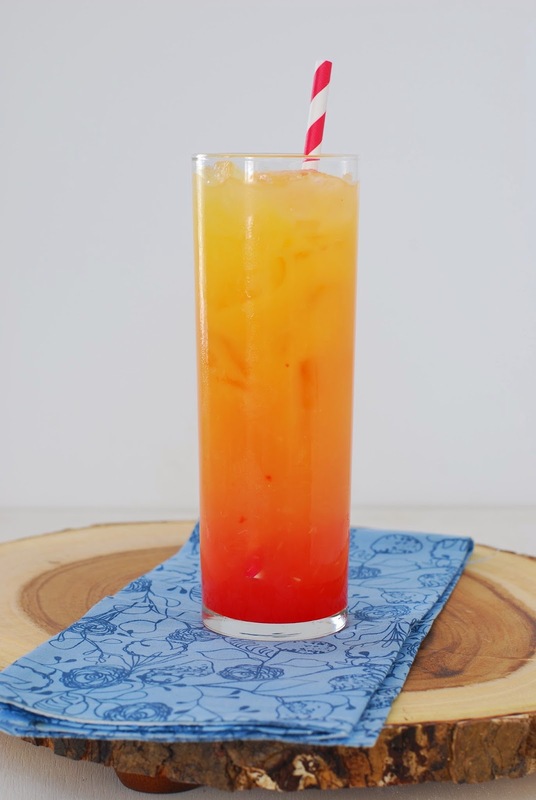 Pour Malibu and orange juice over the top and stir to combine. 2. Slowly pour in a little bit of grenadine (to your taste). It will sink to the bottom. 3. Top with 2 crushed cherries. Stir before drinking.